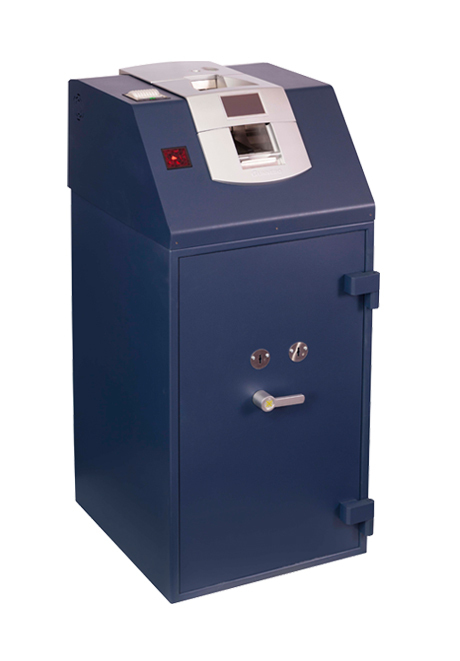 Deposits made into a safe with a protection level equivalent to ECBS Grade III. Deposit speed: Bundles of up to 50 notes can be deposited in one go. 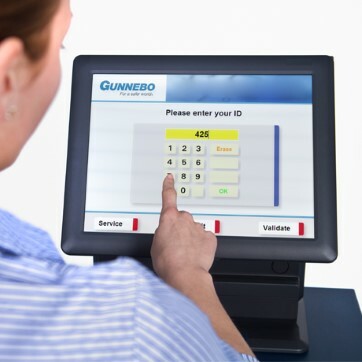 Notes are counted and the user receives a receipt confirming the amount. 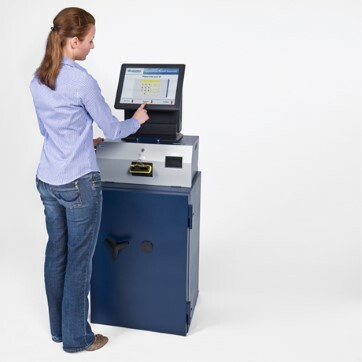 User verification: Identification via touch screen - no cards or keys. 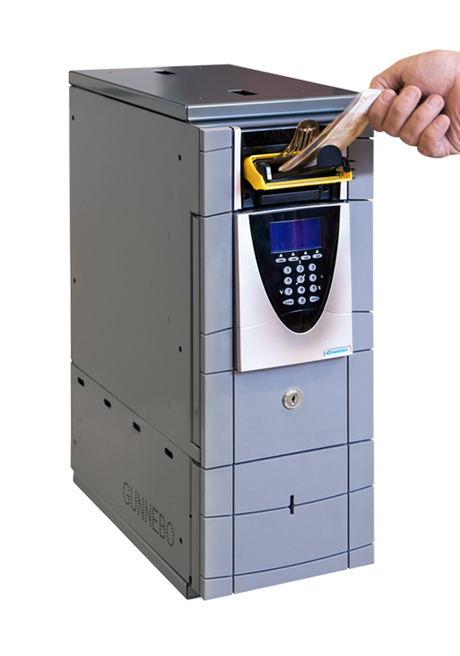 Cash management and monitoring The real-time cash level of each safe can be tracked using Gunnebo’s web-based monitoring software, CashControl. 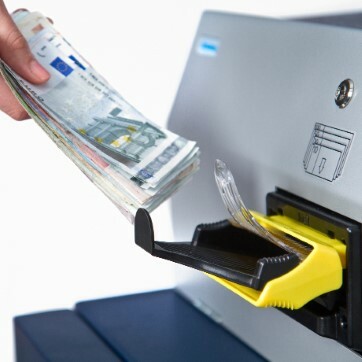 Collection for convenient CIT pick-up, the notes are sent straight into a deposit bag. 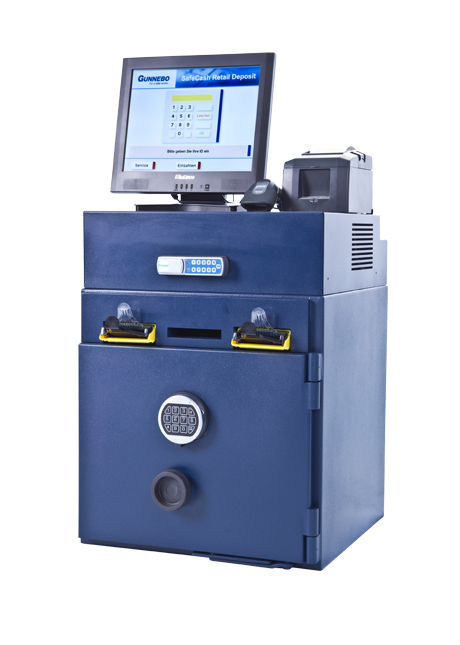 Route planning and pick-up times can be optimised by giving CIT access to cash level data. Same-day credit: As soon as notes are deposited, details of the amounts can be sent to the bank allowing your account to be credited that working day. Deposit Speed: 2.5 notes per second. 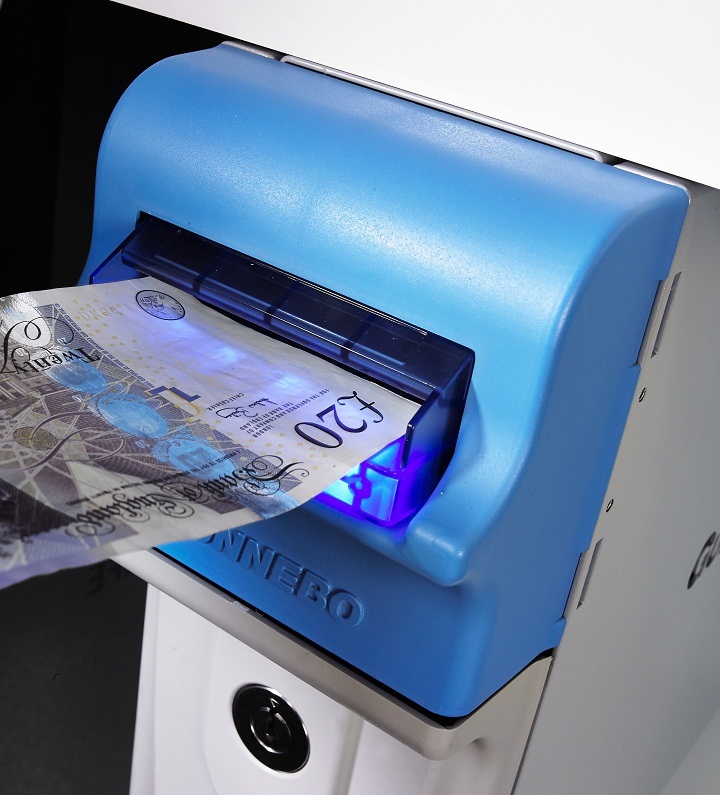 Deposit Method: Note bundles of up to 50 notes.